Blood Gel is excellent for coagulated effects. This item is available in a 1 fl oz bottle. 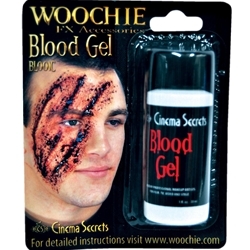 Blood Gel is safe to apply to skin. A little bit goes a long ways towards making a gruesome look come to life.